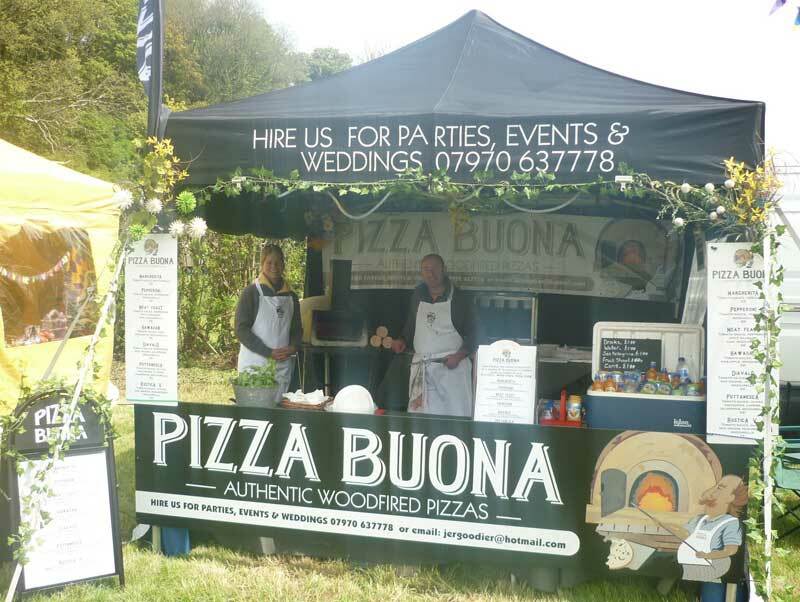 Pizza Buona is a high quality, professional pizza outside catering business covering the South West of England. 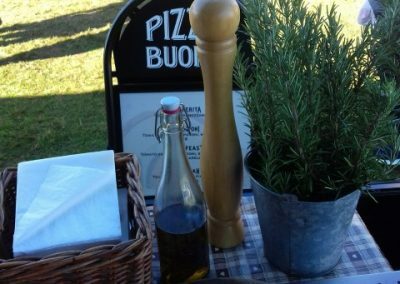 Cooking at regular street food events and available for booking at festivals, parties, corporate events and weddings throughout the year, our friendly team are here to ensure your event is well catered for. Having lived in Italy for five years Jeremy came back to live in the UK in 2008 and missed the authentic taste of Italian style pizzas. 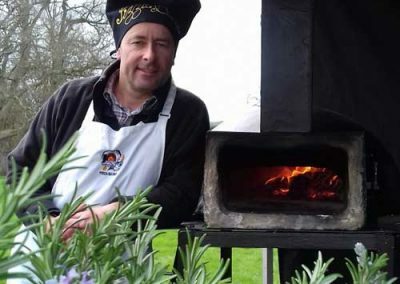 When he met Beccy he promised to get a wood fired pizza oven. With the thought of being served up pizza and prosecco in the sunshine in the garden his idea was quite exciting… Little did she know that he intended her to serve them to party and wedding guests and at Festivals and other events all across the South West. 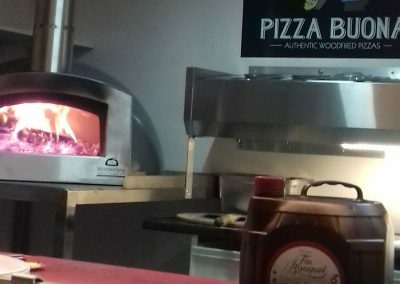 Our 9” rustic pizzas are made from our own unique recipe using traditional toppings cooked to perfection using our authentic woodfire pizza oven. 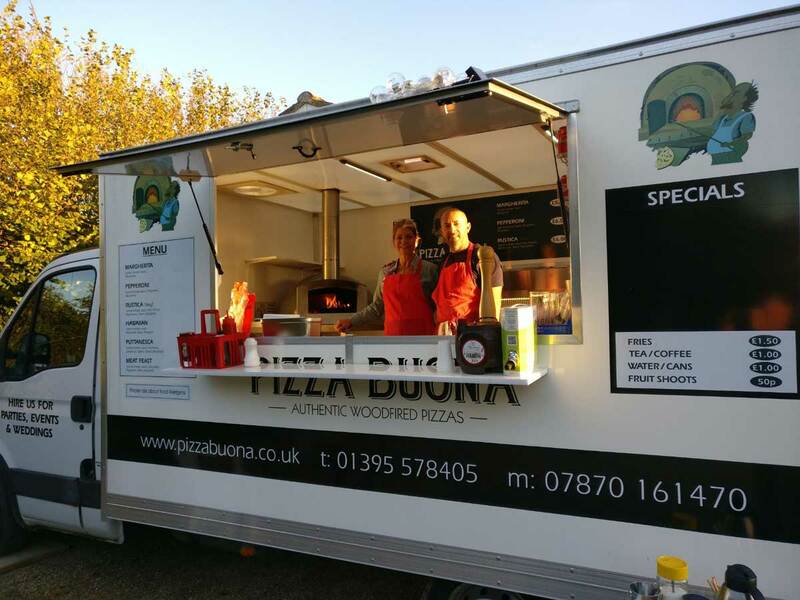 With plenty of toppings and combinations to choose from using only the finest ingredients, Pizza Buona will ensure your event function is stylishly catered for with delicious Italian style pizza. The secret is in the pizza dough that Jeremy mixes up by hand. 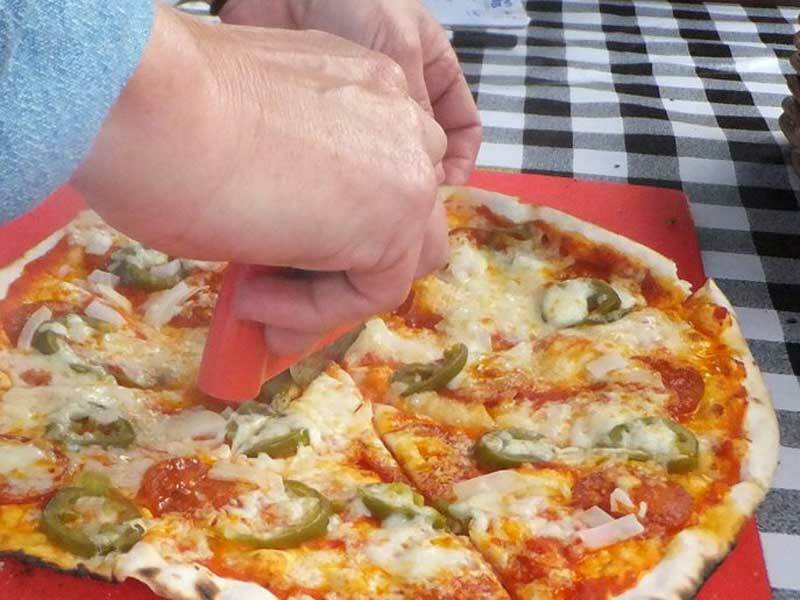 It is also hand stretched which makes the pizzas very thin and very crispy. 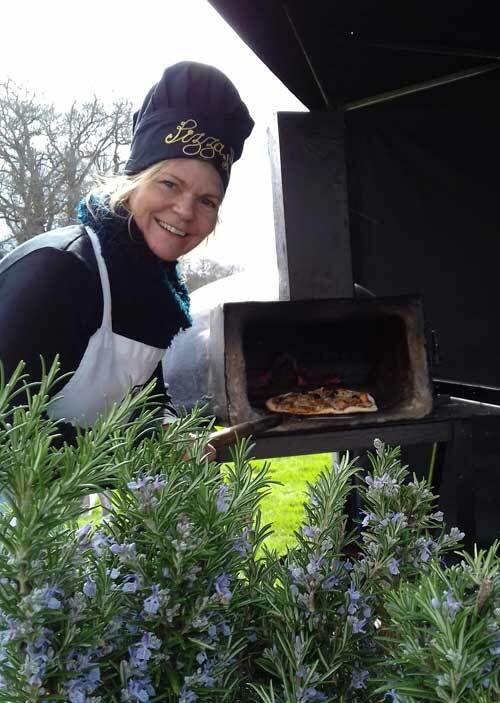 Our wood fired pizza oven gets to 450-500 degrees F and the effect of the wood smoke and the heat creates that delicious taste and crispy base only found when cooking with wood. We have a menu to suit everyone. The classic margherita, a meat feast and a hot puttanesca (anchovies and capers with jalepeneos) amongst other favourites. 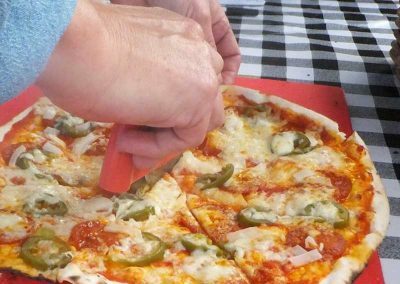 There is a gluten-free option using our own gluten-free dough and we can also provide vegan pizzas using dairy-free cheese, all on request. 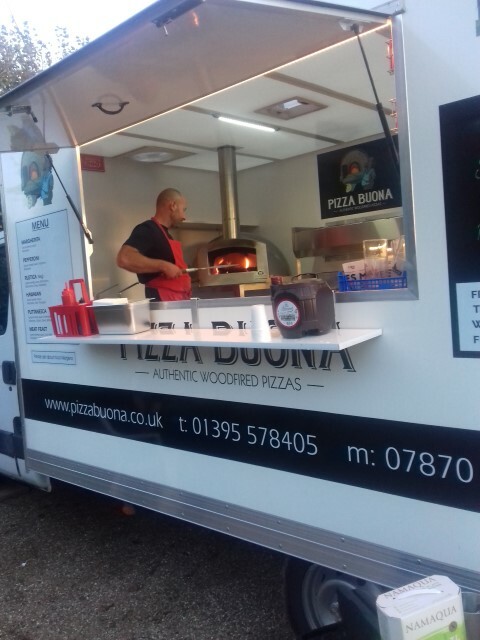 We are very excited to introduce our new mobile catering van which has a wood fired pizza in it so we have everything you need for a great party. We can supply fries and sides with this also desserts and even soup starters on a cold day. We can be totally self sufficient so no electric hook up or water required. All we need is a level area to set up and a wide enough driveway/road. There is still the Gazebo set up that is ideal for garden parties as long as there is a gateway/entrance at least 1m wide and not too many steps. 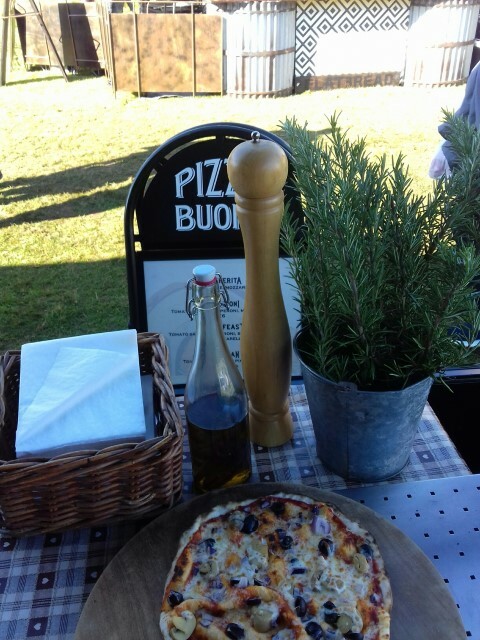 Both options mean that we are ready to cook your guests delicious wood fired pizzas within an hour of our arrival. With either option we provide plates/boxes and napkins… sit back and relax we do it all for you. All our insurance, risk assessments, allergen advice, level 2 food hygiene certificates are kept up to date. Hygiene rating of 5* with EDDC. Our first real event was Devon Dub Fest and since then we have fed thousands of happy festival goers over 6 years. 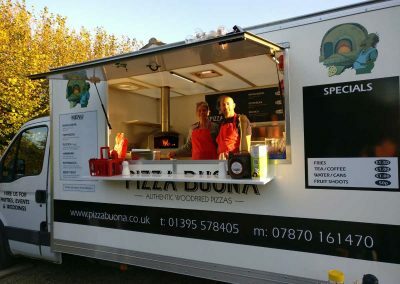 Our portfolio has built up over the years and now we have a successful catering business and have regular street food events, festivals, parties and wedding bookings every year. 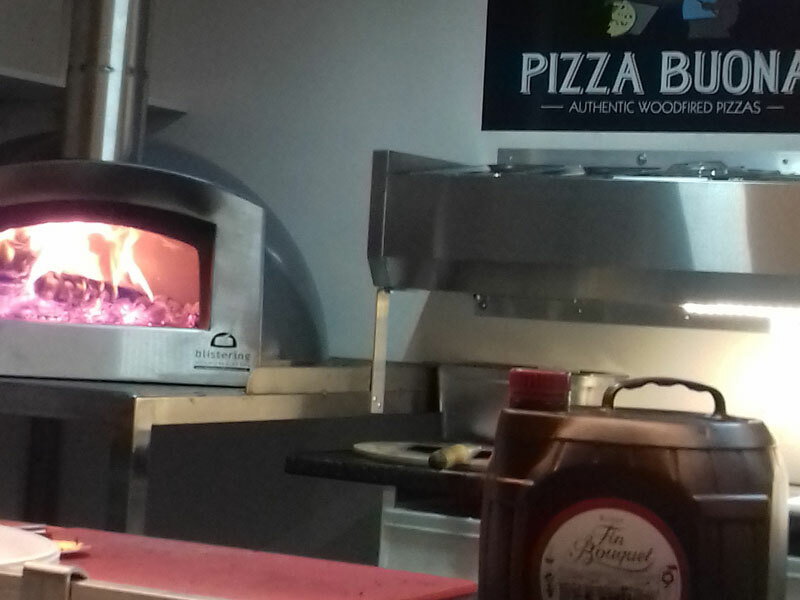 We have the option that you can hire an oven from us for a weekend or evening or for an event of your own. A school fete or party weekend. 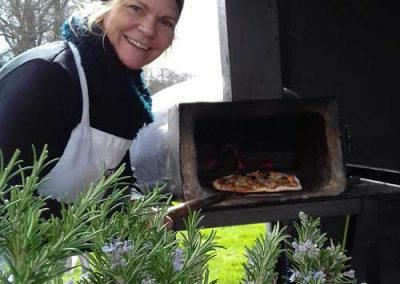 If you have some experience or are an aspiring pizza chef now is your chance to shine. 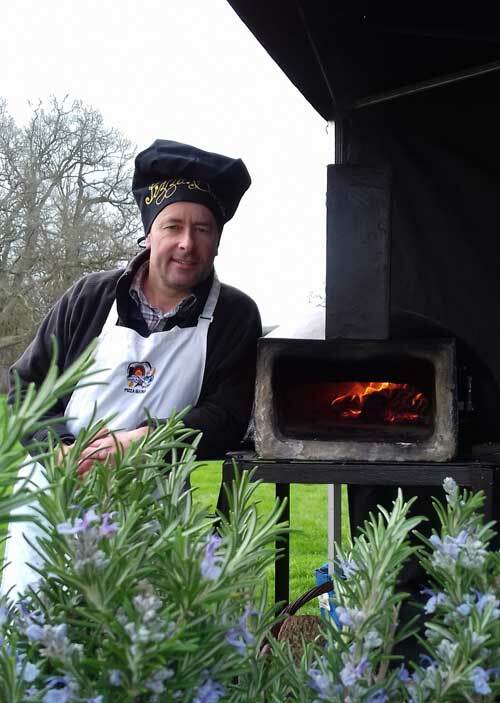 You can have the oven and wood and equipment to cater for your guests and we can even provide the dough. 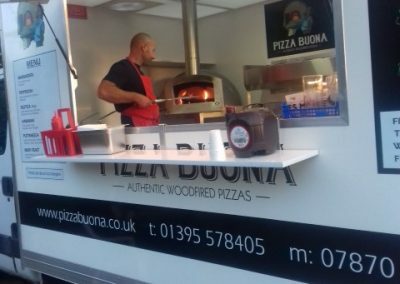 We are now very excited that we now have a mobile pizza van for all your catering and street food and party events, as well as keeping the gazebo option.